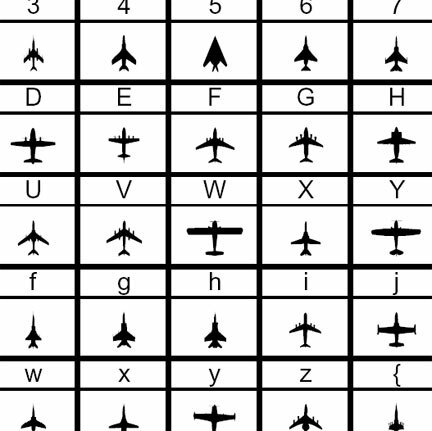 aircraft, text file on how to use the font files, and a license agreement. Chris Fawcett 10 10 10 Far superior to the shareware versions, as they provide better quality silhouettes, as well as left-hand, right-hand, and top-down images. Robert Brown 5 10 7 These work in Windows 7, but don't work in OS X.